Felix Hernandez has had a hell of a career. The righty has been a six-time All-Star, has racked up nearly 2,500 strikeouts, and has a Cy Young award under his belt. He's done a lot in his career, but a move to the bullpen was not something he wanted to add to that list. 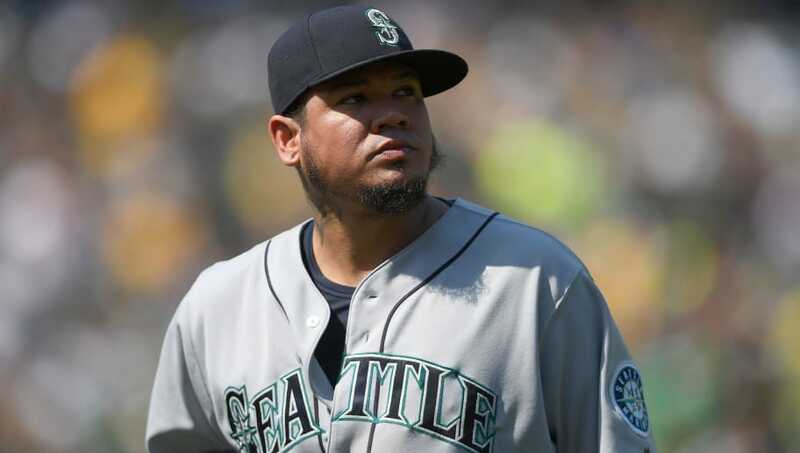 When the Seattle Mariners demoted King Felix to the bullpen, the veteran pitcher was ready to walk away from the game had it not been for a conversation with his wife. He may be struggling, but he's a competitor through and through. It's hard to admit when you've lost your stuff and have to move on to the second phase of your career. Hernandez is known as the jokester in the Mariners' clubhouse, but that doesn't mean he isn't serious when it comes to the game. He wondered if he should "take his cleats and go home" before he spoke to his wife, who told him to be a leader and to not take the game too seriously. His time in the bullpen was extremely short-lived thanks to James Paxton, but Hernandez has still had a hard time staying on the mound due to an injured hamstring that has bothered him for multiple starts. Felix Hernandez said his hamstring is feeling "okay" and doctors told him it was a low-grade strain. Servais said it'll be up to training staff if he's cleared to start Saturday in Anaheim. If not, Erasmo Ramirez moves up a day and takes that start. It's good to see the King stay in the MLB for the time being, but we'll see if Seattle is willing to keep him around next year after one of the worst seasons of his career.